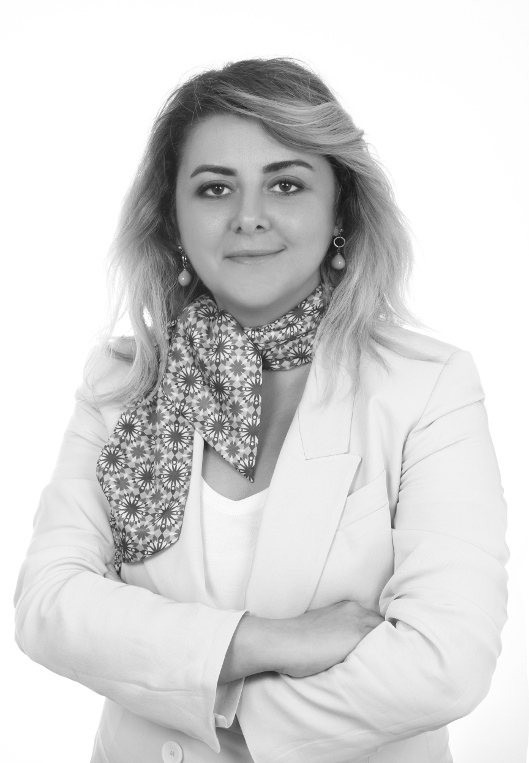 Aşiyan Süleymanoğlu graduated from Istanbul Bilgi University’s Law Faculty and has practiced as a lawyer since 2006, as a member of the Istanbul Bar Association. In 2014, she received her L.L.M decree in Rule of Law for Development from Loyola Chicago University. She has more than 12 years field experience working on multi-million dollar international development projects in the Middle East/Europe. She began her international career with the World Bank projects, continued with European Union programs, and then she joined the ABA-ROLI MENA Division in December 2009 as program manager. Additionally, she is one of the first mediators in Turkey. In 2013, she was selected as international JAMS Weinstein Fellows and observed Alternative Dispute Resolution (ADR) practices and worked with the leading mediators based in San Francisco, Washington DC and New York. She worked with the Stanford and Columbia University’s conflict resolution programs to promote ADR in the Middle East by developing a comprehensive ADR curriculum and by fostering cooperation between legal and business community leaders to expand ADR culture. Since 2015, under several FCO grants, she worked on projects to strengthen the ADR practices in Turkey. She was the program consultant and leading trainer of the Improving Access to Justice through ADR Mechanisms Project I-II and Commercial Mediation Istanbul Pilot Project at Grand Bazaar. She has over 1000 hours of international training experience and also provides training in conflict resolution, project management and access to justice.